The EUR/USD currency pair reached the first target level, 38.2%. However, the pair may yet continue falling down, that’s why I opened a short-term sell order during a local correction. The target is at the level of 50%. 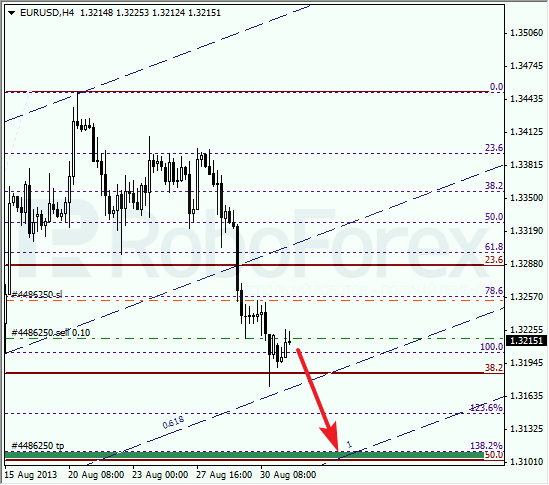 At the H1 chart, the market is being corrected. 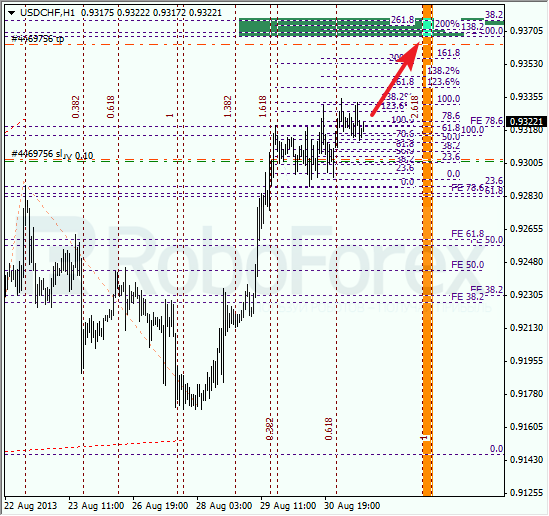 According to the analysis of the temporary fibo-zones, the target levels may be reached during the next several days. We can’t exclude a possibility that the bears may face the resistance from the 1 line of the fibo-channel. The market was opened with a gap up, thus allowing me to move the stop into the black. In the near term, the price is expected to start moving upwards. 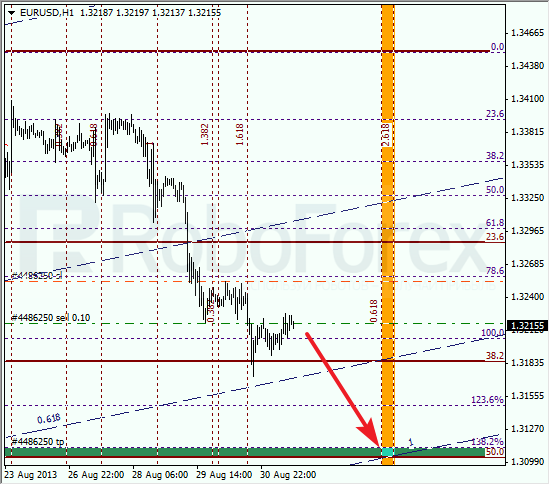 The target is still in the area formed by the levels of 138.2%, 100%, and 38.2%. 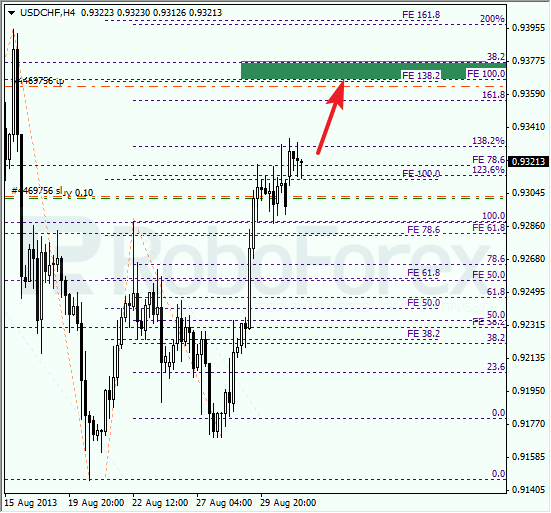 At the H1 chart we can see, that the target area is formed by five fibo-levels. According to the analysis of the temporary fibo-zones, the target levels may be reached by Wednesday. If the pair rebounds from them, the price may start a new correction.